Have you spent any time thinking about Halloween in the bigger picture? What it actually does for us or our kids? What are they learning from it? Does anyone really need all that stuff going into their mouth? How about bags full of change instead of bags full of garbage? I've read about Dentists that will pay by the pound for the treats collected, just to help put a dent into the junk candy insanity. Halloween can be a blast for the kids. Spending time working on the costumes. The fun they'll have wearing them and going out with mom and dad or friends is awesome. Knocking on doors to show them off and happily say "Trick or treat". It can be just as fun for us parents and adults, seeing the kids excited and loving the fun a few special hours walking our streets can be. Now stand back and look at what we are collectively doing, tell or share what standing at our doors distributing masses of pure dietary garbage riddled with chemicals, plastics, and not meant for human consumption is good for. Clearly, its evolved and we all do it so how about evolving it into something else? Keep what is fun and has value for kids and family, get rid of the worse part, and change that into something else with more value. Any ideas? 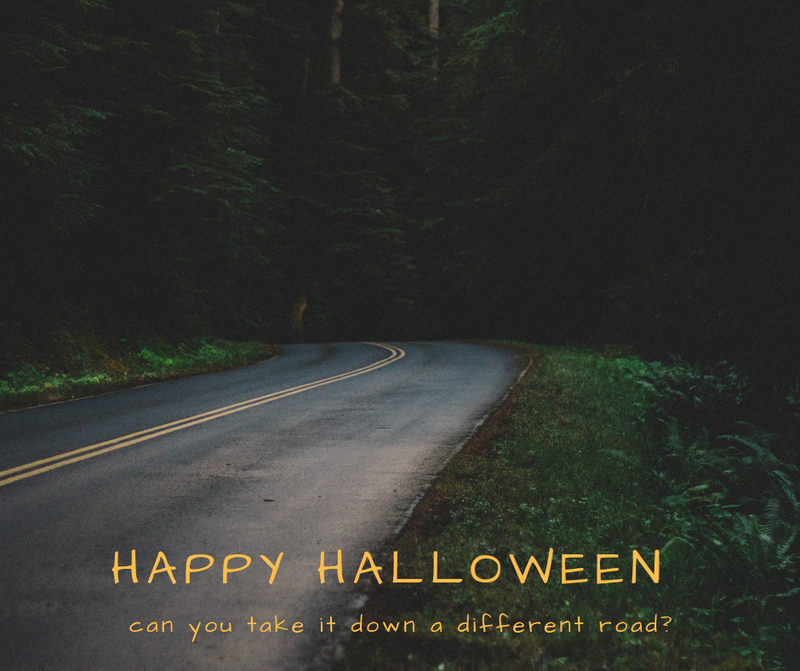 What would you change about Halloween? Can you improve it? What if everyone started doing this... instead of giving out treats they gave out change. Possibly from the change, we accumulate in our homes from one Halloween to the next. How excited would kids be to go around collecting money? You wouldn't be a garbage distributor or worse and you wouldn't need to worry about your kids having all that sugar and who knows what else. Would collecting change make for a better Halloween? To make it even better hand them a paper with the money and list a few local organizations who serve specific needs in our community. Moms and dads could take the opportunity to teach the kids or reinforce some life lessons about money, saving, spending, sharing, and helping others. Imagine what Halloween could become if we change it. Do you have some organizations in your community helping in ways that need financial support? Consider making something up to attach a coin to and give out to your little tricker treaters instead of what is expected. Stir up the pot of boil and bubble and instead of crap send out a blessing for little ones to help someone in trouble. Here is what I'll stick a loonie on and give out. Send me a copy if you make something and I'll post it here. Then others can see who you've found that can use some help. Once enough people do this it frees up others to simply put in nickels, dimes, whatever have for change and it will accumulate and by the end of the evening become something truly worth sharing or keeping especially for kids that may not have as much as others. Either way, going home with a bag full of change is pretty cool.